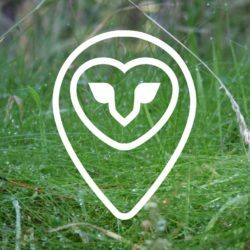 Drop in to The Arches and speak to a member of the Fermynwoods team for an insight into Edwina fitzPatrick’s The Archive of the Trees project – a sweeping view of weather, memory and climate change. 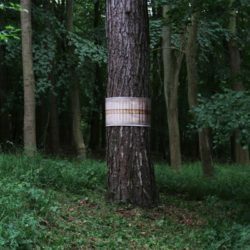 In addition to Edwina fitzPatrick’s The Archive of the Trees artwork installed at The Arches and within Fineshade Wood itself, Edwina has also created a comprehensive website detailing the project, the history of Fineshade Wood, and a tree archive with tree core samples of several trees. 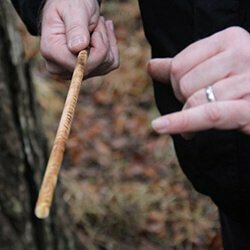 A walkthrough video of Edwina fitzPatrick’s The Archive of the Trees installation at The Arches, taking a local approach to explore how weather, memory and biodiversity overlap, using dendrochronology (tree cores) to look inside living trees. 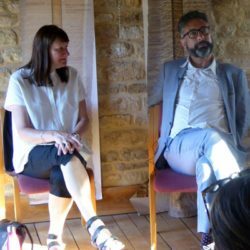 Catch up on our Artist Talk with Edwina fitzPatrick & Asher Minns, discussing public engagement and understanding of weather and climate past, present and future; focusing on Edwina fitzPatrick’s Archive of the Trees project and installations in Fineshade Wood. 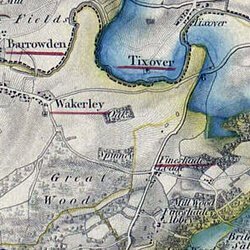 The Archive of the Trees are temporary sited artworks in Fineshade Wood by Edwina fitzPatrick, that combine Forestry Commission tree records with historical archives, local anecdotes about the weather, and the images of each tree’s secret interior archive. 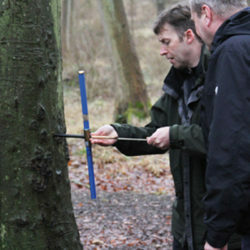 Swansea University’s UK Oak Project collect and analyse very small cores from healthy mature trees in Fineshade Wood. Each core reveals the tree’s age, growing patterns, past weather conditions and stresses such as diseases. 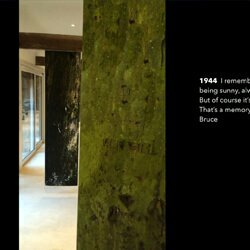 In effect, they are the tree’s own archive: each specimen reveals its ‘autobiography’.